We’ve Got Some New Members. 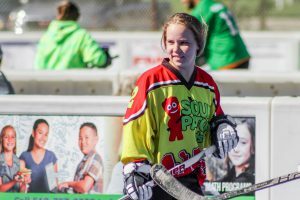 If you’ve been playing at Ball Hockey International (BHi) for a while, then you’ve probably become accustomed to a couple of things. The rink floor feels familiar to you (which is why you don’t want to play anywhere else), the feeling of getting together with the team and playing at one of our many tournaments is one that you just can’t get enough of, and last but not least, you’ve come to know our friendly and professional staff. While the feeling of the rink and the excitement of the tournaments aren’t changing a bit, you’ll probably notice a couple new faces as you continue to play at our facilities. Alright, ‘new’ might be stretching it a bit, as both faces belong to time keepers who have worked at our rink in the past, but we wanted to take a moment to get you acquainted with, and welcome our new Assistant Facility Manager, Brittany Fulsom, and Youth & Adult League Coordinator, Cassie Silverthorn, to the BHi Brantford team. Brittany’s been with BHi for some time now. She started as a time keeper way back in 2009. We immediately saw her passion for the game, and commitment to the rink and decided to bring her in to work part time in the office. During that time, Brittany also coached the 10-12 youth league while she herself played in the 13-15 league. If you’ve been out to the Walter Gretzky Street Hockey Tournament (WGSHT) (one of our biggest annual tournaments) then you’ve probably seen her keeping time during some of those games as well. Brittany has been a big part of BHi Brantford for as long as she’s been with us, and we know that she’ll continue to put her best foot forward to keep things running smoothly in her new position as Assistant Facility Manager. Cassie’s been no stranger to BHi Brantford, as she’s both played and time-kept for the past six years! 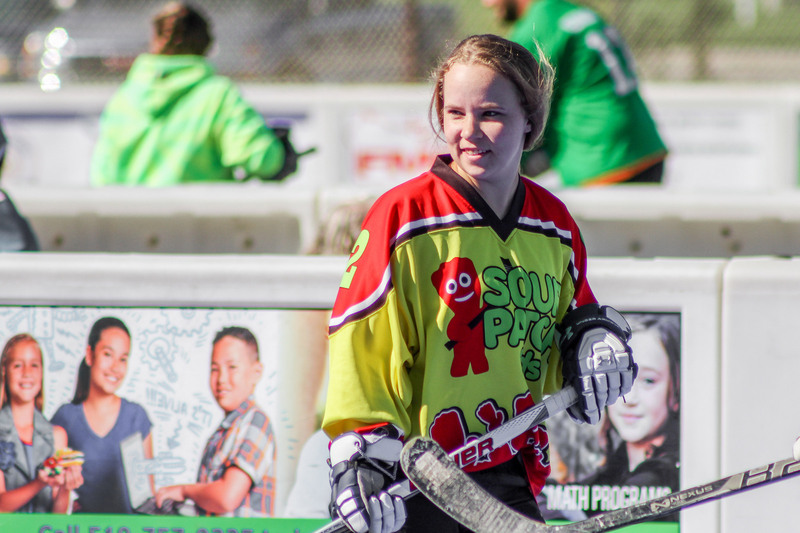 She has a major passion for ball hockey, which means she’ll be a great fit as our new Youth & Adult League Coordinator. 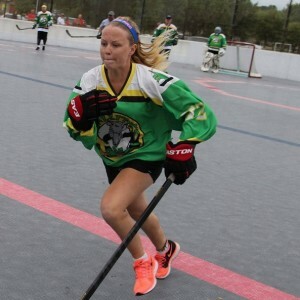 She’s got such a passion for ball hockey, in fact, that she’ll be playing on this year’s BHi Great Britain Heritage Team during their expedition to Moscow, Russia for the World Ball Hockey Federation Championships. 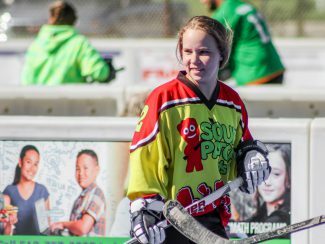 Cassie’s not just into ball hockey though…she was also a collegiate fast-pitch player. Cassie’s love of sports and commitment to creating a positive and fun environment at the rink will make her an excellent addition to the BHi family, and we know that you’ll offer her the same friendly interaction that you do our existing rink staff. We look forward to continuing to work with these two talented and passionate ladies and encourage you to welcome them into their new roles at the rink. 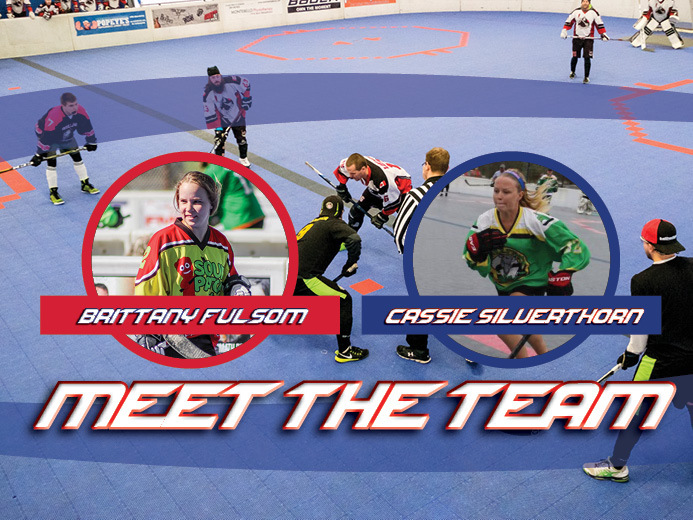 We’re confident that Brittany and Cassie will be a terrific addition to a team that’s already focused on providing a fun and positive environment at which players across youth and adult divisions can compete.Congratulations, Brittany and Cassie, on your new positions here at BHi Brantford…Now let’s get to work!